We do love a good viral hit here at RotD and today, we have a real earworm for you. 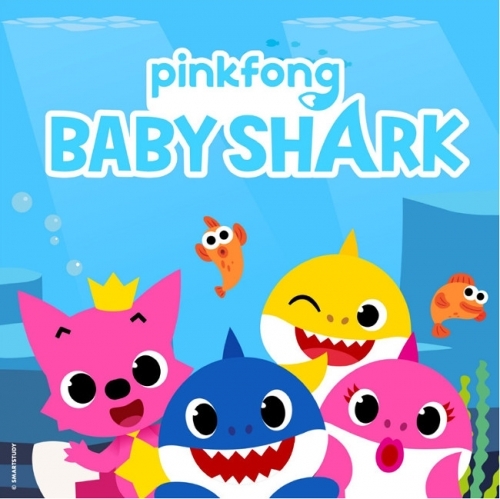 If “Baby Shark, doo doo doo... Mommy Shark, doo doo...” already rings a bell then you probably have young children or have already jumped on board Pinkfong's Baby Shark phenomenon. If not, then be prepared for this little gem to get stuck in your head. With over 1.7bn video views (3.3bn if you include all the various official versions), it is one of the top 35 most viewed videos on YouTube and has become a cultural hit with celebrities like Kylie Jenner and Cardi B joining in with the #BabySharkChallenge. James Corden last week performed the song on his Late Late Show helping it to spread across the US, whilst over here in the UK the track has received mainstream media coverage from Radio 1, Good Morning Britain, Lorraine, BBC News, the Independent, the Guardian, and the Sun to name just a few. It’s already sold over 100k units in the UK, peaking at number 32 and with more promotional features to come, including pop-up shows across shopping centres from half term to Christmas, we reckon Baby Shark will be shooting back up the charts in no time at all.